Reading to your children every night can be crucial to language growth and development. Here are some answers to get you started, or to expand your reading routine! Who should I be reading to? Studies show that reading to your child daily starting as young as 8 months of age has an impact on their early language skills. In addition, continuing to read to your child throughout childhood and adolescence can help you expand their vocabulary and spark conversation about a shared topic of interest. When should I read to my child? The real answer is, as much as possible! The more you read, the more opportunities your child will have to learn new words and ideas. I recommend trying to find a 20-minute time slot you can devote to reading at the same time each day so it becomes part of your daily routine. Where do I find good books? Here is a link to locate all of the public libraries in Arizona: http://www.publiclibraries.com/arizona.htm. Create an account with the library closest to you and enjoy free books and resources for your child! Why should I read to my child? Several studies have shown that children learn words best from interactions with caring adults, rather than screens. A recent study has shown that reading books with pictures create the best understanding of a story (https://www.firstthingsfirst.org/first-things/when-reading-to-toddlers-books-with-pictures-are-just-right/). 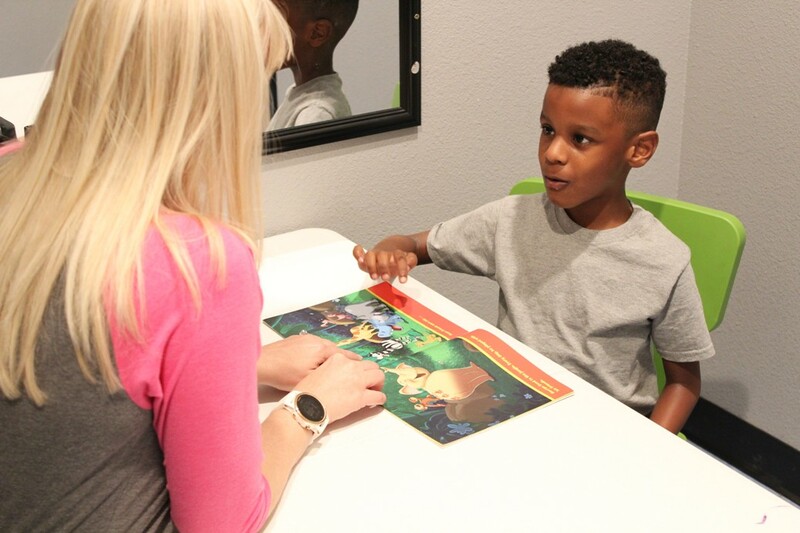 Stories provide repetition to build vocabulary, as well as grammatical models for your child to learn from!